Archaeologists have unearthed the tomb of Khentakawess III in Abusir, Egypt. Although she was previously unknown to historians, inscriptions in the queen’s tomb suggest she was married to Pharaoh Neferefre. Also known as Raneferef, Neferefre ruled Egypt for approximately five years during the Fifth Dynasty of the Old Kingdom. The specific period of Neferefre’s reign is unknown. However, it was likely fewer than six years as construction of his pyramid complex was never completed. Neferefre’s “Unfinished Pyramid” was rediscovered in the early 1800’s, but the site was not closely examined until 1974. Early researchers recovered statues, papyri, and a mummy, which confirmed the pharaoh’s identity and status. The unfinished state of the complex also revealed important information about Fifth Dynasty architecture. Forty years later, Czech archaeologists discovered the tomb of Khentakawess III at the same site. Egypt’s antiquities minister, Mamdouh al-Damaty, confirmed the previously unknown queen’s name and status were inscribed on the walls of her tomb. Al-Damaty said the inscriptions identify Khentakawess III as “wife of the king,” as well as “mother of the king.” As reported by Huffington Post, researchers believe she was the wife of Pharaoh Neferefre and the mother of Pharoah Menkahur. Although the pyramid complex was heavily damaged by vandals and looted by grave robbers, archeologists recovered several intact implements and sculptures from Khentakawess III’s tomb. Giza Antiquities director Kamal Wahid explained that the upper portion of the tomb was easily accessible. However, the burial chamber and offering chapel are located in a lower chamber — which is accessible only through a narrow shaft. 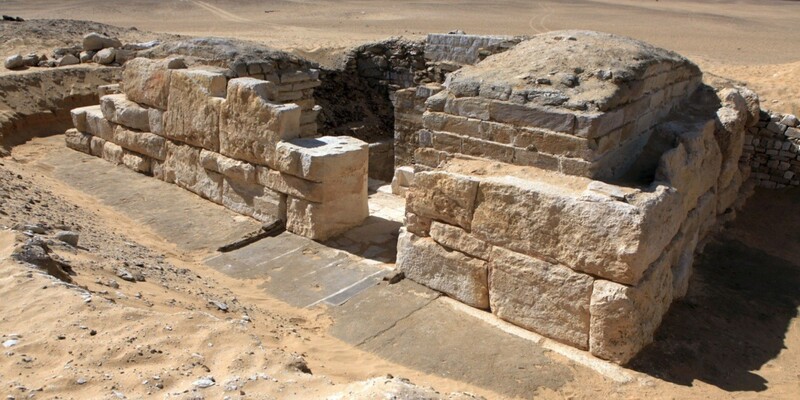 Researchers hope Khentakawess III’s tomb will provide clues about Pharaoh Neferefre’s short life. As reported by Ancient Egypt Online, the fifth Dynasty ruler was under the age of 25 at the time of his death. The son of Pharaoh Neferirkare and Queen Khentkaus II, Neferefre is also credited with building a solar temple called Hetep-Re. Although the temple was never found, inscriptions elsewhere suggest it was originally located near Abusir. As her existence was previously unknown to historians, little is known about Khentakawess III and her relationship with Pharaoh Neferefre. However, researchers believe the discovery of her tomb will provide important information about the ancient Egypt and its leaders.